Note - Powering off both power supplies powers off the switch. Identify the prerequisite and subsequent service tasks you must perform in conjunction with this procedure. Determine which power supply is to be removed. 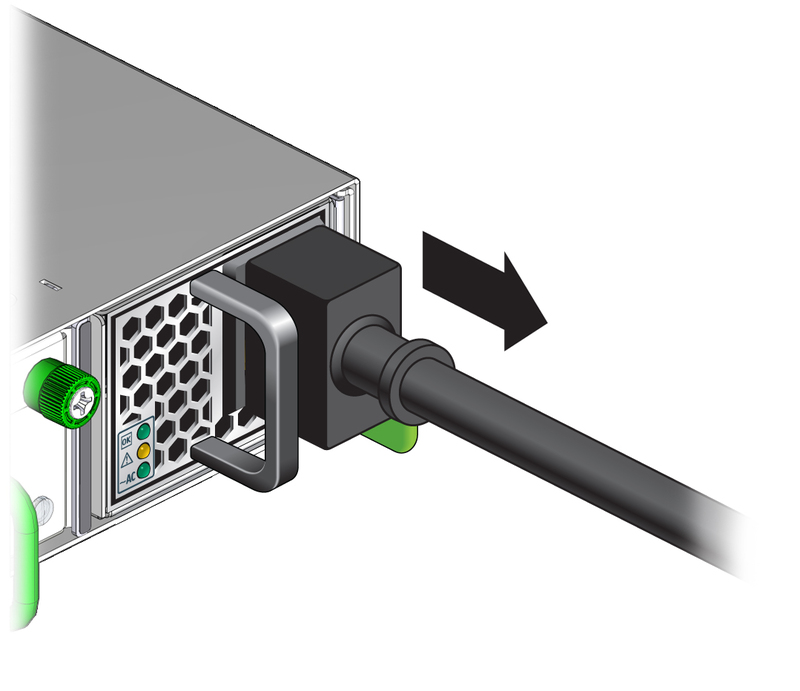 At the front of the switch chassis, remove the power cord from the respective power supply. The power supply is completely powered off. See Remove a Power Supply.